Note: This will be the first review in a series of James Bond reviews. In 2013, I intend to go through all 14 of Ian Fleming’s James Bond books in order of publication. This means that 007 will be appearing quite a bit for the next little while. These books hold a very special place in my heart, so I only hope that these reviews will convince someone unfamiliar with Fleming’s books to give them a chance. Thus begins Casino Royale, the 1953 novel in which Ian Fleming introduced readers to the exploits of James Bond, secret agent extraordinaire. The stakes couldn’t possibly be higher. Word has gone around to the British Secret Service that Le Chiffre, the undercover Paymaster of a Communist-controlled trade union, is in financial trouble. He gambled his clients’ money on a string of brothels, but a new law was passed in France that banned his houses of pleasure. And thus, almost overnight Le Chiffre lost his investment. In a desperate attempt to recoup his financial losses, Le Chiffre has come to Royale-les-Eaux. His plan is to win back his money in a high-stakes baccarat game. That’s where 007 comes in. His mission: humiliate Le Chiffre by beating him at the card table and thoroughly cleaning him out. Killing him would be futile – the opposition is already displeased with Le Chiffre, and SMERSH (a contraction of the Russian phrase smyert shpionam– “death to spies”) has reportedly sent a man to deliver punishment to Le Chiffre for bungling. If only the mission could be that simple. Immediately upon arrival, Bond discovers that his cover has been blown and that Le Chiffre is wise to his game. An assassination attempt soon follows, and when it fails, Bond comes to the card table, ready to duel it out with the enemy in a high-stakes game of baccarat. If you have no idea what the object of the game is, have no fear: Bond explains the rules of the game to Vesper Lynd, a fellow Secret Service agent who is sent to help him. 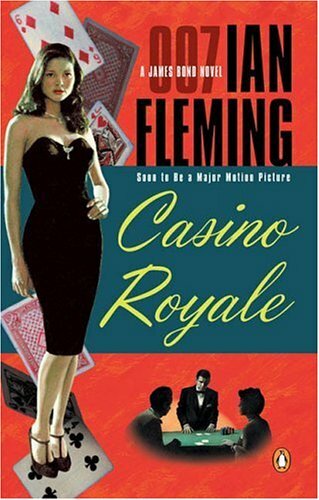 Casino Royale is one of the most interesting of the Bond books. At this stage of Ian Fleming’s writing career, he hoped that he could leave behind the definitive English spy novel as his legacy. 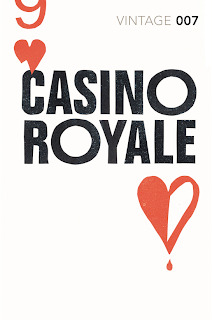 Casino Royale shows much of that determination and in my opinion, the novel is a legitimate contender for that title. Fleming did a fascinating job capturing the way the world around him was changing. Great Britain was no longer the world’s unquestioned superpower. The lines between good and bad were no longer as clear-cut as it had seemed. Fleming even subverts some of the thriller’s conventions—Bond doesn’t always succeed, and he can’t do so on his own. Bond has a rather long conversation with a fellow agent, where he seriously contemplates retirement and lays out his reasons, while the other man tries to persuade him that he is speaking nonsense. Bond even considers proposing to Vesper Lynd, the girl he falls in love with during his mission. 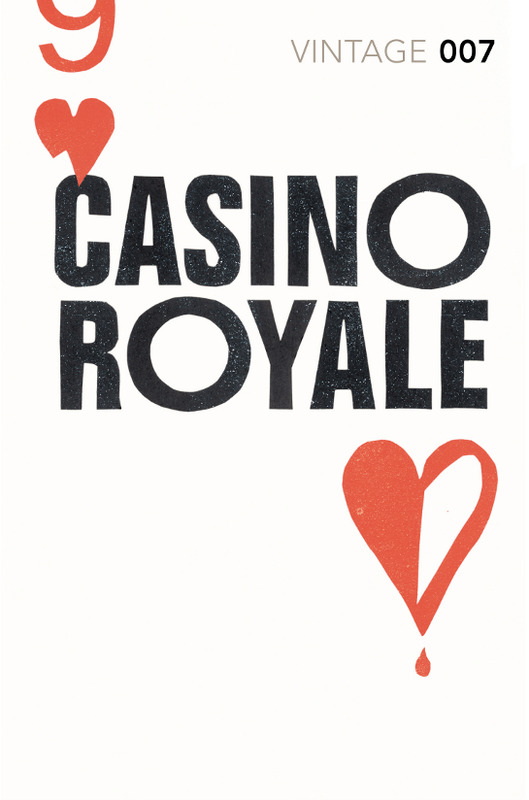 All this lends a heart of genuine tragedy to Casino Royale. 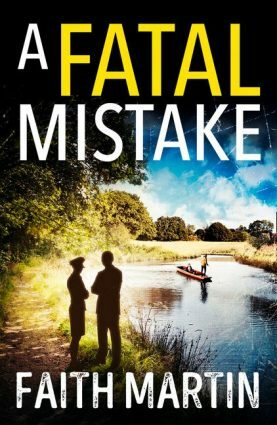 While Fleming’s novels aren’t detective stories, this is a story where some puzzling events are not entirely explained, and only at the end do we find out the reason for this. The explanation is one that gives you a feeling of “Oh, my God! Of course!” but without necessarily giving you clues to figure everything out for yourself. While the plot is good, the great success of this novel is the character of James Bond. He is a flawed human being, a man who performs a dirty job because someone has to do it and he happens to be good at it. It isn’t an enjoyable job, and not particularly rewarding. It can even be painful: physically, mentally, and emotionally. The physical part comes when Bond is gruesomely tortured by Le Chiffre. (Anyone who has seen the film adaptation will know what the torture consists of, but imagine a carpet beater being used instead.) It’s an infamous scene in the Bond series, and very difficult to read. Fleming doesn’t describe the torture in that much detail. He describes the set-up, and he describes the pain Bond feels, but he refrains from graphic descriptions of mutilation (which would be the route chosen by today’s authors). Instead, what really makes the scene haunting is Le Chiffre’s mental torture, as he tells Bond exactly what he intends to do, and mercilessly proceeds to do just that. And this technique is ten times more effective than any gore could ever be, coaxing your imagination to envision some particularly painful imagery. But Bond takes some serious emotional punishment along the way as well. When Vesper Lynd tells Bond that double-0 agents are heroes to the people with desk jobs, he cynically declares that he’s no hero, and that he has two corpses to thank for his double-0 status. Being a double-0 only means that you are willing to kill people on your mission, and he describes the two kills that gave him his famous number, 007. You can tell that these memories haunt Bond: he is not in the espionage game to play red Indians, as Le Chiffre derisively calls it. This is a game for the grown-ups, and Bond’s bitterness at being a part of it is reflected in the way he spits out the novel’s final line. And that’s Casino Royale. It’s a brilliant novel, one with a solid emotional core, a terrific leading lady, and a fascinating plot. Fleming tried to do something different with the spy novel, and I for one think he succeeded brilliantly. James Bond is a fascinating character, a man who has serious moments of introspection and contemplates both marriage and resigning from the Secret Service. I want to avoid spoilers in my discussion of the book, but everything leads to a spectacular ending, an emotional climax that is truly cathartic. If you’re familiar with 007 only through the movies, Casino Royale is a very good place to acquaint yourself with the original character as written by Ian Fleming. Notes on the audio recording: AudioGo has released 12 of the Bond books – i. e. all of the novels – under the series label “007 Reloaded”, where excellent actors are cast to narrate different novels. 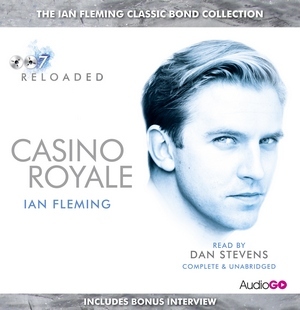 Casino Royale is narrated by Dan Stevens (perhaps best known for his role in Dowton Abbey), and he is brilliant. From the very first chapter, you can tell that Stevens is having fun reading these novels. He comes up with his own voice for Bond rather than trying to do an impression of one of the film Bonds. In an interview after the audiobook, he describes it as a suaver version of his own voice, which isn’t a bad way of putting it. I also loved his voice for Le Chiffre, a soft, low voice that carries a sense of menace with it nevertheless. He even does justice to the character of Vesper Lynd, the first Bond girl and one of my favourites. It’s really a terrific performance overall. 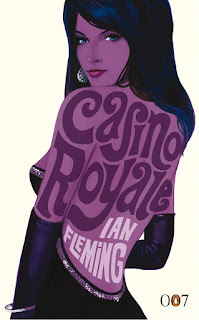 In the interview, Stevens admits that he never read Casino Royale before, but that he had read some of the other Bonds. You can tell that he really enjoyed recording this book, and that sense of enjoyment really went far in the recording. This is a highly recommended audiobook. People in the UK will have an easier time getting a hold of this recording, but for people in North America like myself, Amazon.co.uk sells a boxed set that collects these new audiobooks up to Goldfinger. It’s not a bad deal for audiobook fans like myself. Fleming was a very good writer indeed, although he is still horribly undervalued because he is popular. One of the fascinating things about reading the Bond series is seeing how versatile he could be. CR is a brooding, low-key thriller, whilst DR NO is wild and fantastical (007 fights a giant squid at one point). Fleming could even structure one of the books (FROM RUSSIA WITH LOVE)so that Bond doesn't appear until half-way through the book. I do have a theory that Fleming often tried to echo various different authors whom he admired. CR has echoes of Somerset Maughan, whilst DIAMONDS ARE FOREVER has strong echoes of Raymond Chandler. He was a great friend and admirer of Chandler, and was very proud when the American author praised his American settings. I begin to discover your Ian Fleming reviews. Intersting. I'm a James Bond fan since 1988 and i also wrote articles on Ian Fleming's book on my blog. I'm french and i live near places that Ian Fleming described in his novels. If Royale-les-eaux doesn't exist, he was inspired by Le Touquet (and other cities) which i know very well. He describes the regions in which i live (Nord-Pas-de-Calais, Picardie) with accuracy. In Casino Royale and other books(On her Majesty's secret service, For your eyes only, Thrilling cities), he proves that ke knows France. Excuse me if my english is not perfect.